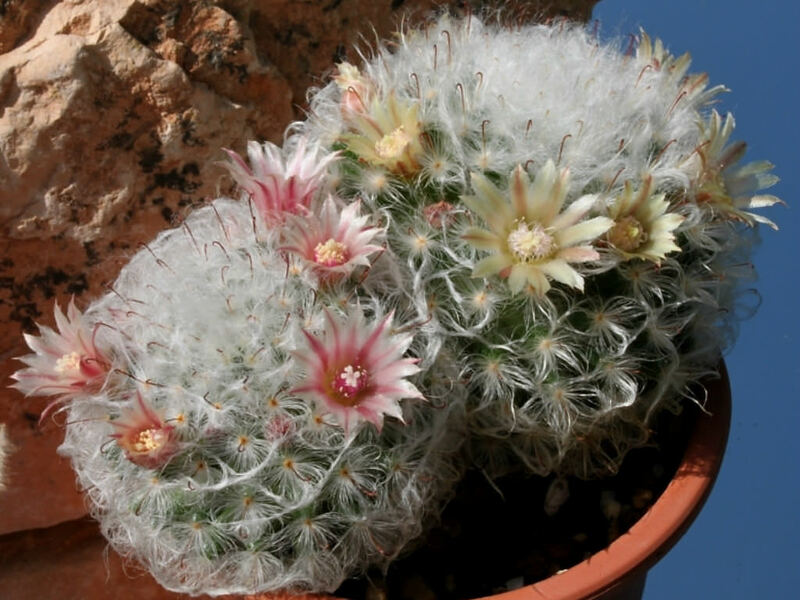 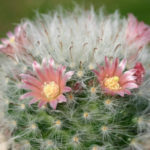 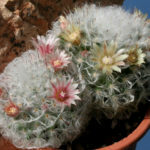 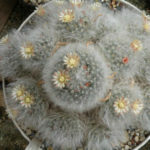 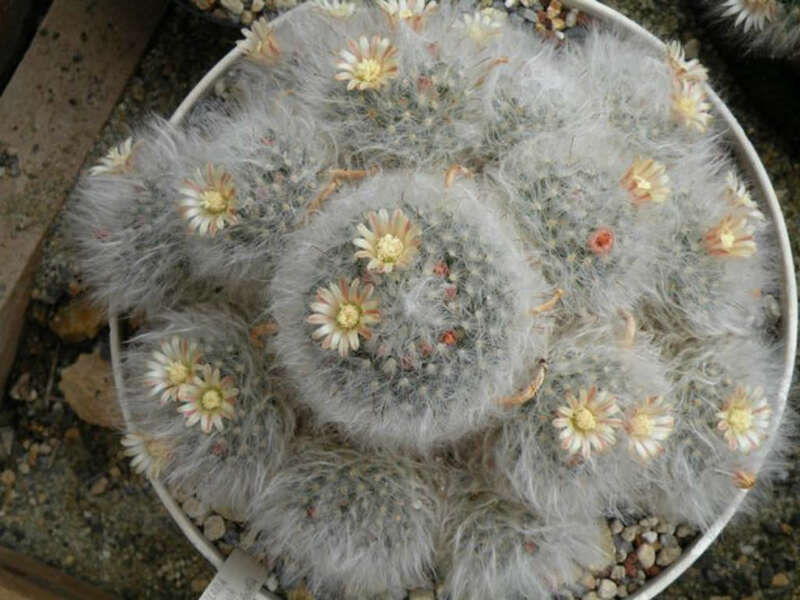 Mammillaria bocasana ‘Multilanata’ is a cultivar of Mammillaria bocasana with clumping, spherical, blue-green stems up to 3 inches (7.5 cm) in diameter. It is covered with white hair-like, radial spines (one hooked) up to 0.8 inch (2 cm) long and 1 to 7 reddish brown central spines up to 0.4 inch (1 cm) long. 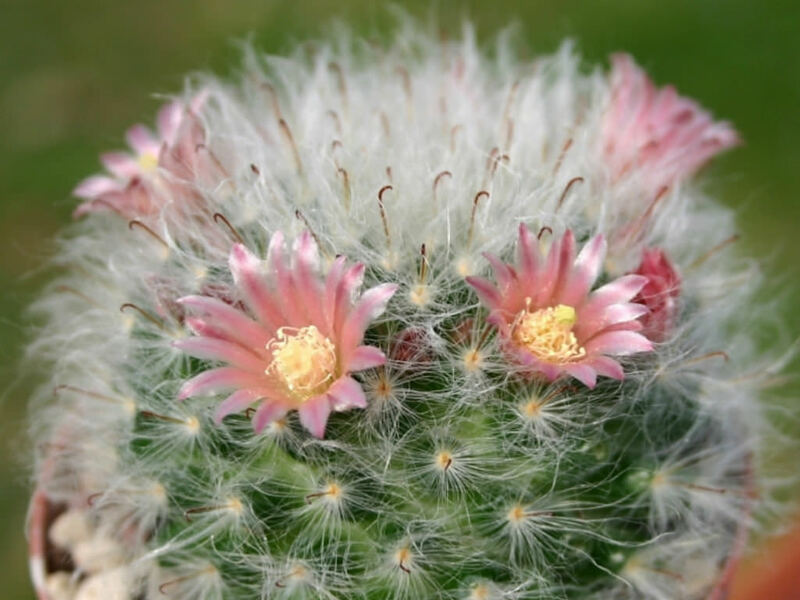 The flowers are creamy-white, creamy-yellow or pinkish, up to 1 inch (2.5 cm) long and up to 0.6 inch (1.5 cm) in diameter. 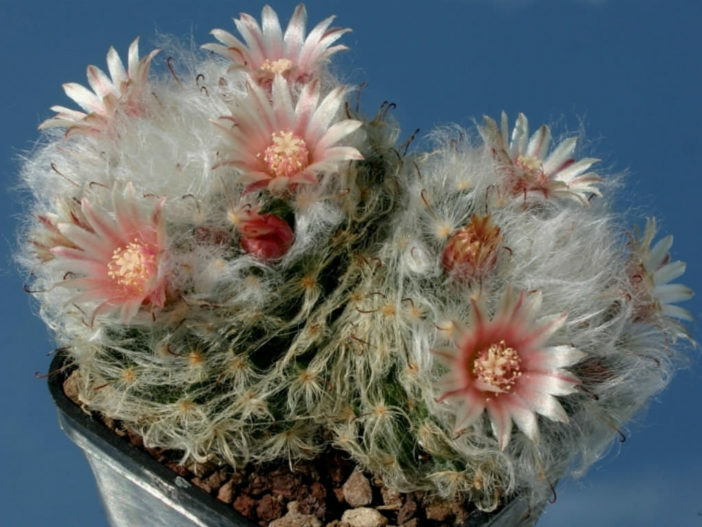 The fruit is cylindrical, rosy-pink to red and up to 1 inch (2.5 cm) long.